When a customer approached us as they were having problems due to premature failure of Nash Liquid ring vacuum pumps we were soon on site to look at the options. During the slitting process large quantities of tissue dust were being produced, this was then combining with oil mist from the process. This wet dust was then being drawn into the vacuum unit past existing filtration and causing the premature failure of the units. With our experience of filtration we already had knowledge of spin separation on vacuum lines and the installation of an inline spin separator appeared to be the best option. To confirm this we sent samples of the dust off to be put through the spin separator test rig to confirm that the media was suitable to be separated out in this manner, as not all dust is suitable to be pre separated in this manner! we were able to confirm prior to any commitment from our customer that the system would work. 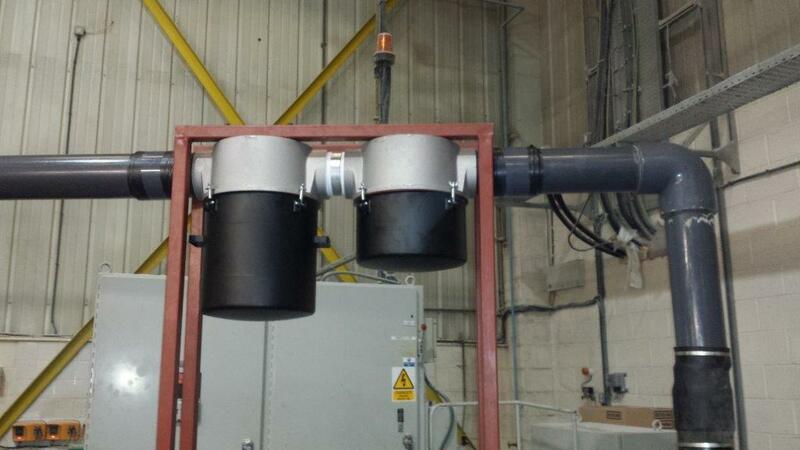 We then specified a 6" SpinMeister Precleaner with a 6" after filter to be installed by our customer. 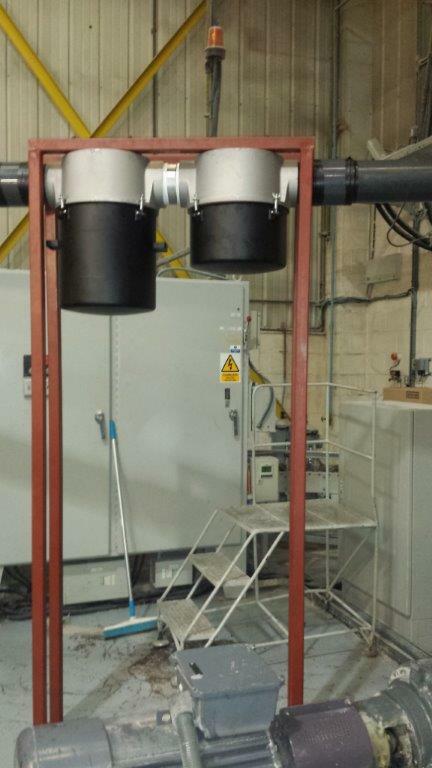 After fitting the unit the customer was so satisifed with the efficiency of the dust capture and the extended life of the vacuum pumps that they ordered a second set for another unit on site. SpinMeister Extreme Duty Vacuum Filters are available from 2" up to 6" and are 85% + efficient up to 15 microns and with there low pressure drop and positive sealing assembly are an efficient and effective method of separating large quantities of dust prior to fine filtration, extending service life of filters and protecting plant critical applications.